Last year, for the first time since 2014, search generated more referral traffic than social media. This was revealed in a new referral traffic report from Shareaholic, which analyses traffic referrals from more than 400 million users to roughly 250,000 sites across a diverse range of industries. Similar findings have been published by Chartbeat too. This is a significant development for brands and marketing managers – one that’s likely to get a lot of coverage in the industry. But it’s important to try and put findings like this into context before you make any changes to your marketing strategy. As Shareaholic rightly says in its report, “As traffic patterns change, so should your search and social strategies.” According to its findings, search generated 34.8% of site visits in 2017 compared to 25.6% from social media – you can see how the share of traffic referrals has changed over the last few years above. Shareaholic isn’t the only content promotion company reporting an uptake in referrals from search. 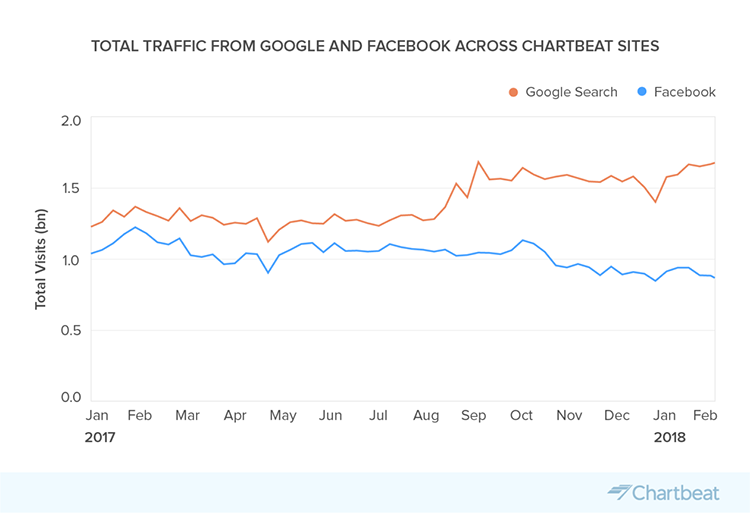 Chartbeat also says it has seen an increase in traffic from Google Search while numbers from Facebook move in the other direction. 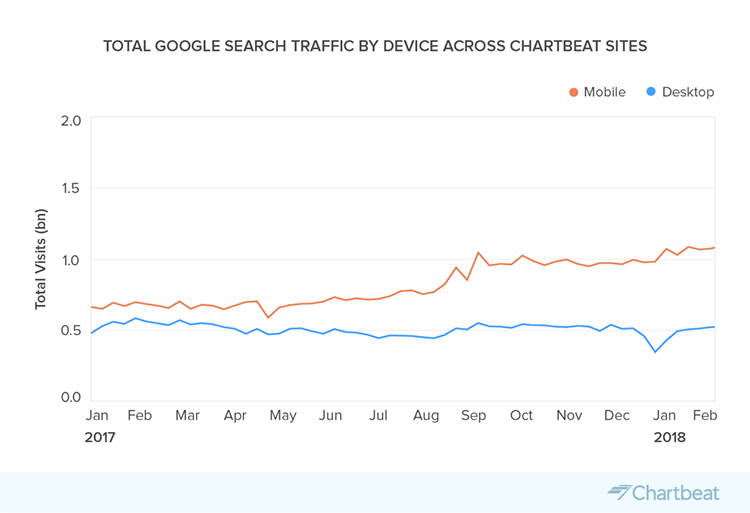 However, Chartbeat goes a little further with its analysis and compares desktop traffic to mobile, revealing that the increase in search traffic is largely coming from mobile. Well, the findings from Shareaholic and Chartbeat are obviously good news for Google; the search giant now has even more leverage to encourage brands to sign up to Accelerated Mobile Pages (AMP). AMP has come in for its fair share of criticism but Google is coming good on its promise that AMP content increases CTRs and traffic. There’s another side to the story, though. Last month, Facebook announced it would be making changes to its News Feed, promising users they would see less content from brands and publishers. This is precisely what has happened in recent weeks, which means social referral traffic could decline even further this year as organic reach shrinks once again. Does this mean you should sign up for AMP right away and forget about publishing content on Facebook? No, of course not. Accelerated Mobile Pages have their uses but they’re designed with publishers in mind rather than corporate brands, which means your typical blog post isn’t going to appear in the mobile AMP carousel that’s driving an increased level of mobile AMP traffic. 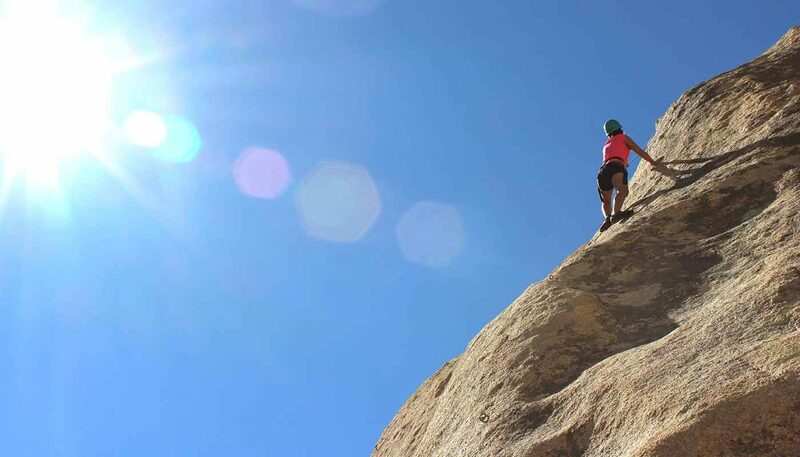 Likewise, organic reach on Facebook has been dropping for years and the latest News Feed update mostly affects pages and posts with little or no engagement. More importantly, Facebook ads aren’t affected by the update and nothing has changed regarding the way you reach out to audiences via Facebook advertising. If, on the other hand, you’re a publisher promoting news style content, things might be a little different. This is the kind of content that Google wants to promote through AMP and the exact same kind of content Facebook is showing less of organically. So the switch to AMP and increasing your ad spend on Facebook will be the way to go for many publishers. For corporate brands, little has changed. 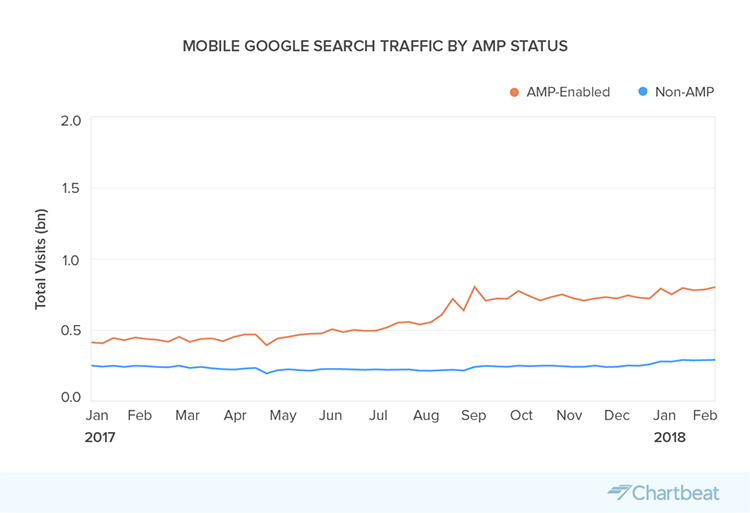 What the findings from Shareaholic and Chartbeat tell us is that AMP is achieving precisely what Google intended to do for publishers. The fact that this comes at a time when Facebook is working to put its fake news troubles behind it has resulted in a shift of power – and this is great news for Google. The search giant was at risk of becoming less relevant in the age of social media, where people can scroll their way through news without needing to search for anything. This was reflected in the fact that social media has beaten search as the main source of referral traffic since 2014. A few years ago, when Twitter was at its peak and Facebook was proving its worth as a publishing platform, Google’s future looked a little uncertain in a mobile, social world. There was talk of Google having a serious problem on its hands as mobile users turned their backs on search in favour of content discovery. 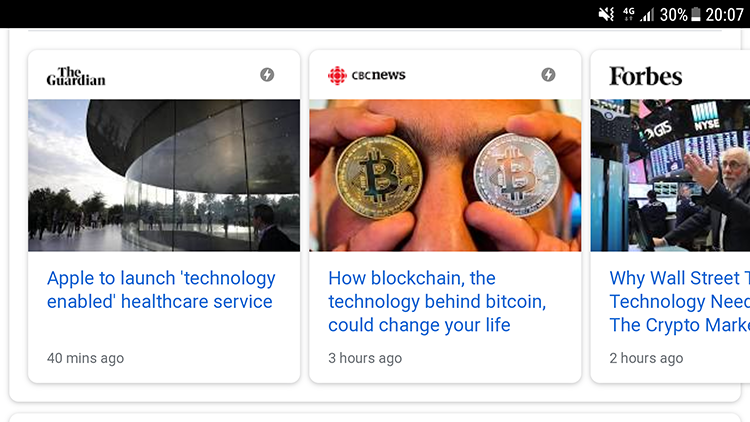 As we’ve said before though, Google has reacted to this shift in user habits and adapted itself to become a content discovery tool of its own and now it seems to have the edge on Facebook in terms of connecting users with organic content from publishers and brands. Of course, things can change quickly in this industry and it will be interesting to see what direction Facebook chooses to take over the next few years. For now though, any talk of Google having a mobile traffic problem or SEO becoming a less important lead generation strategy is irrelevant.